Twitter has just announced it's top Trending Topics of 2009 on it's blog. One of the top trending ones of the year include the Iranian elections. The terms #iranelection, Iran and Tehran were among the top 21 Trending Topics. Coming in top is still the weekly favourite #musicmonday. 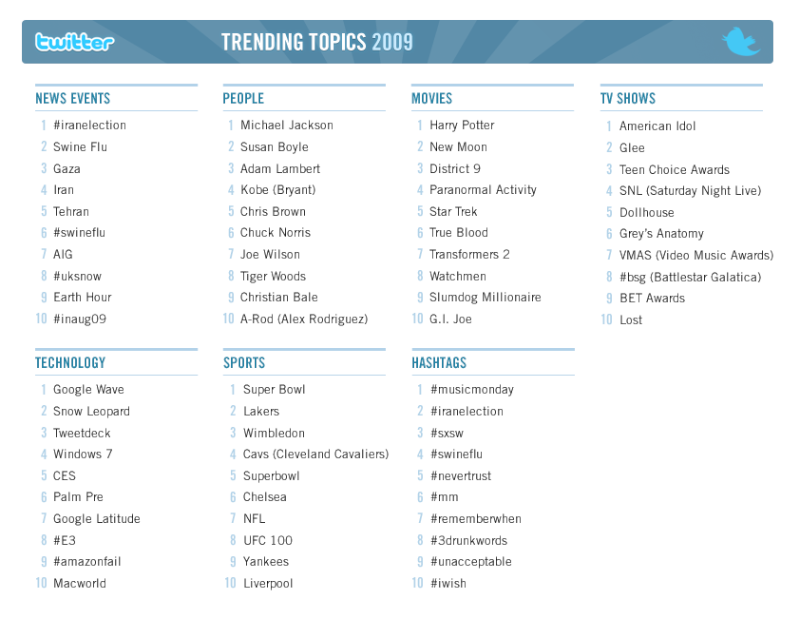 Here are Twitter's top trending topics of 2009 placed in several categories.